Winter Intramural Sports are happening at BVM! Click the link below for registration information and contact details for our Athletic Director, Mr. Quijas. All athletes interested in participating must be cleared prior to attending tryouts. NOTE: Physical Exams are not required. Practice dates and times will be determined after teams are selected. When finalized, season game schedules can be found by following the link below and clicking on the sport on the right side of the page. You can also check the BVM Home page calendar to review game times and locations. BVM Winter Athletics are set to begin! 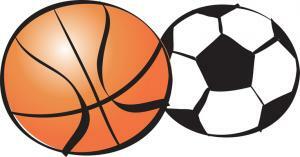 Boys Soccer, Girls Soccer, Boys Basketball and Girls Basketball tryouts will be happening soon. All interested athletes must complete the online clearance process outlined below. Questions? Contact Mr. Quijas in Boys P.E. All teams practice at BVM unless otherwise indicated. Rain may change practice schedules-changes will be announced as soon as possible during school hours. Winter Athletics are set to begin at BVM! All sports team are competitive and athletes must tryout to make the team. Athletes must maintain a 2.0 or better scholastic grade point average (GPA) and have no “F” grades in scholarship or citizenship. Athletes must also be in good behavioral standing on campus.